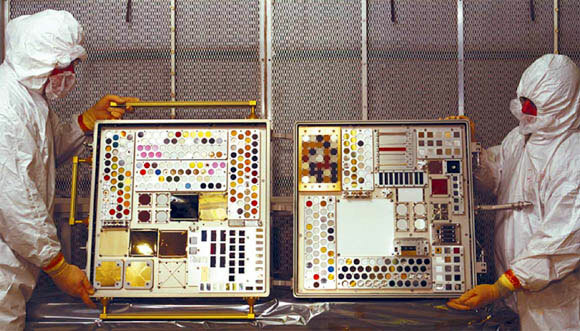 The Materials International Space Station Experiments (MISSE) are a series of tests conducted on the International Space Station (ISS) to determine what effects different materials will have when exposed to a low Earth orbit (LEO) environment. The 1,500 different samples of polymers, coatings, composites, plastics, metals, etc, were placed in testing containers known as Passive Experiment Containers (PECs), which allowed the materials to be transferred to and from the ISS. The tests were conducted externally on the ISS and ultimately determined what affects the atmospheric conditions would have on each component.